You can visit our Inula ensifolia page or browse the pictures using the next and previous links. If you've been inspired take a look at the Inula plants in our garden centre. Perennial growing to about two feet in fertile soil in a sunny position. Unlike some of the larger members of the family, this is well-behaved, and does not run. 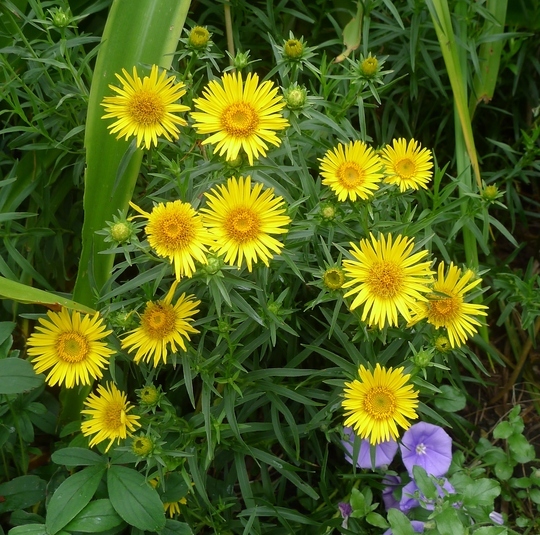 See who else is growing Inula ensifolia.